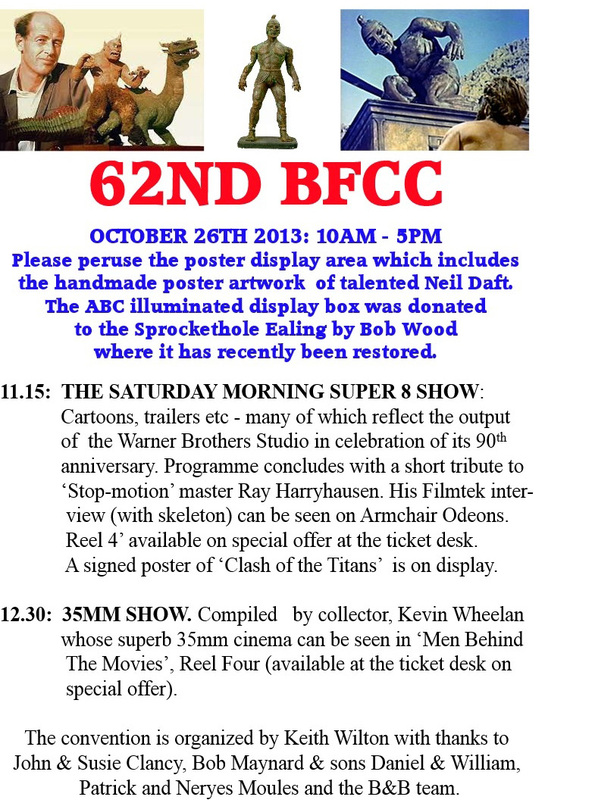 SECOND PAGE OF PHOTOS FROM THE 62nd BFCC CAN BE SEEN HERE. 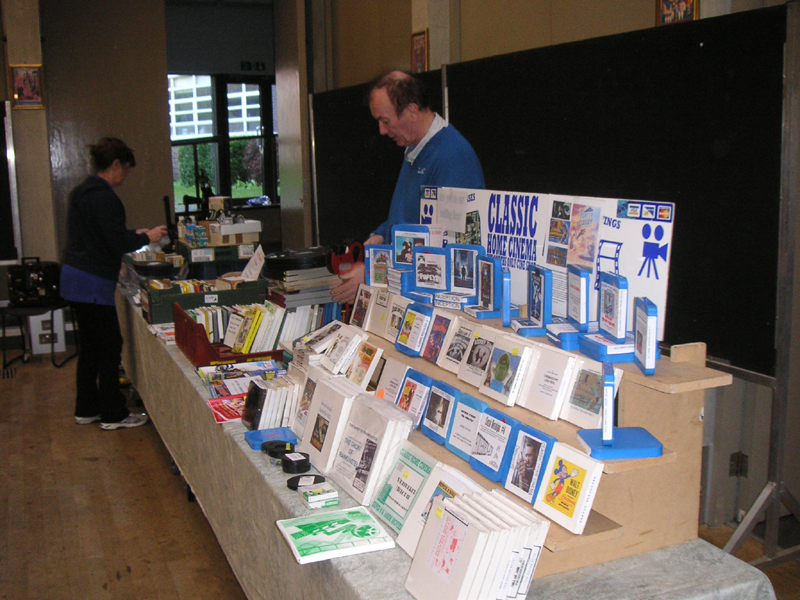 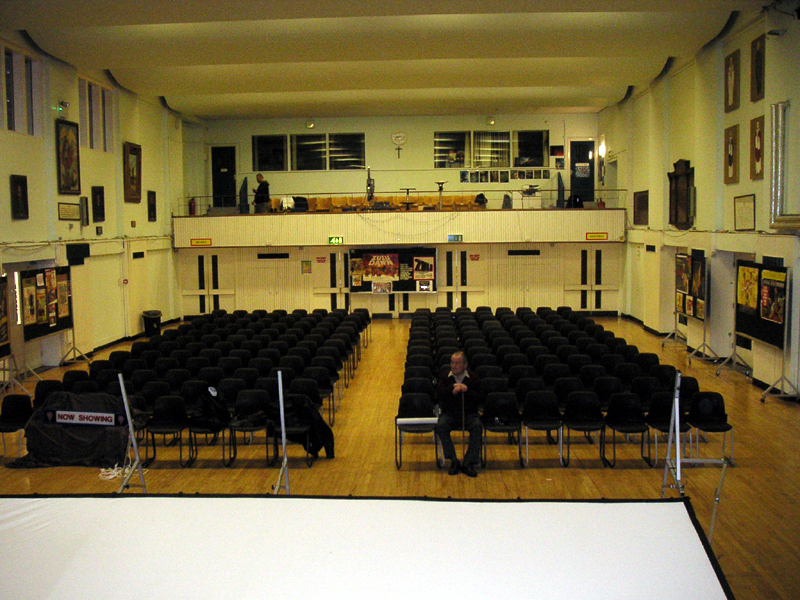 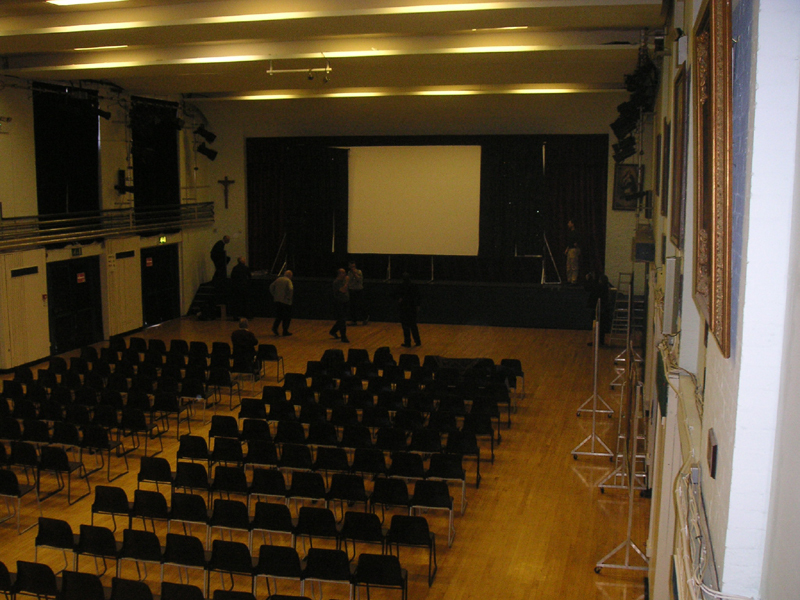 The second BFCC held at St. Benedicts School in Ealing. 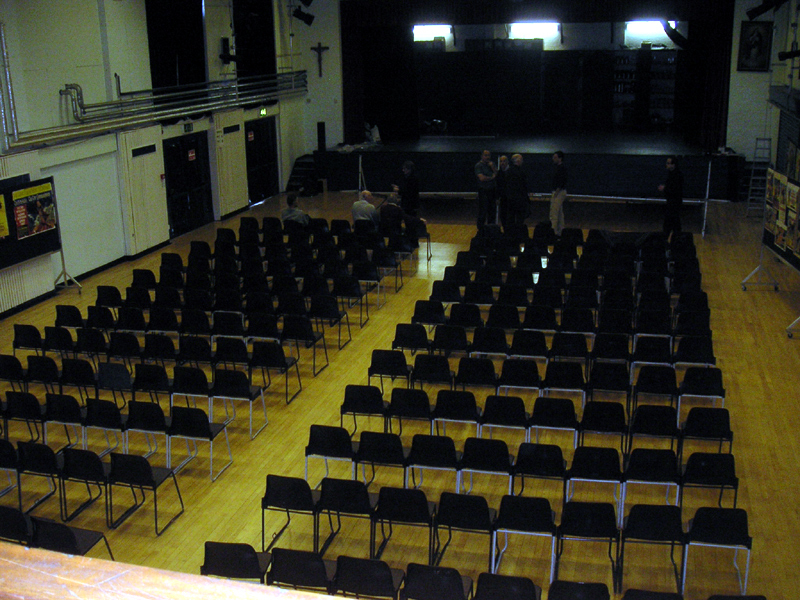 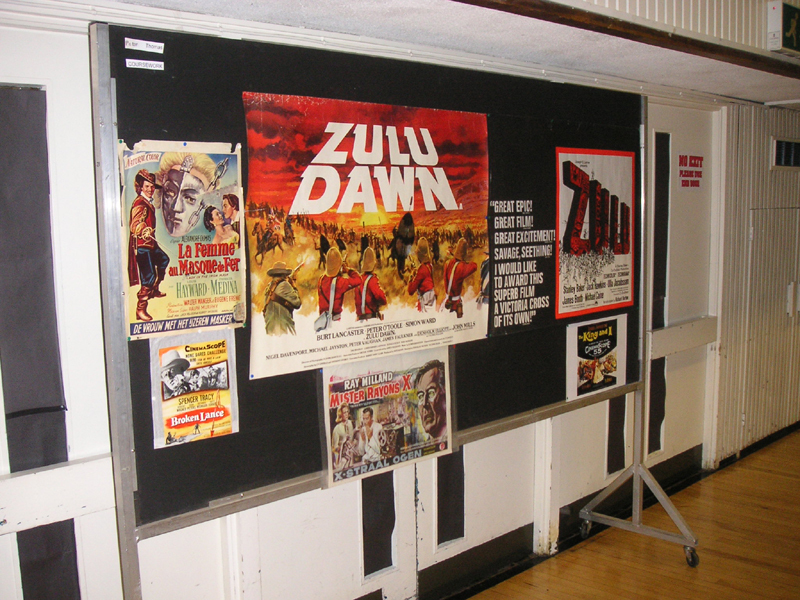 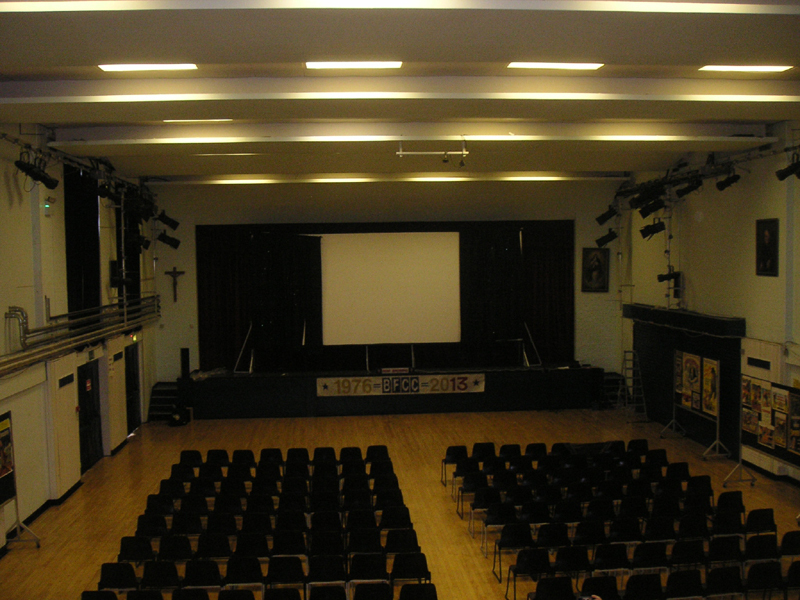 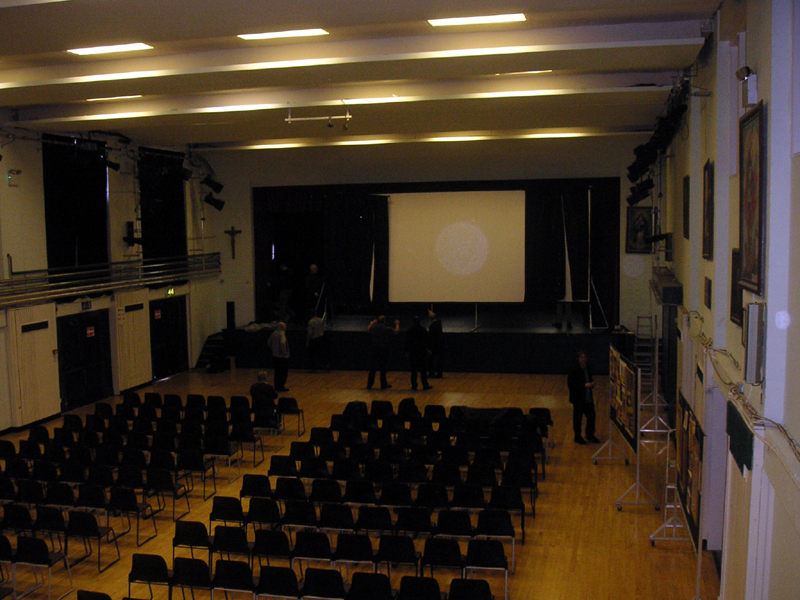 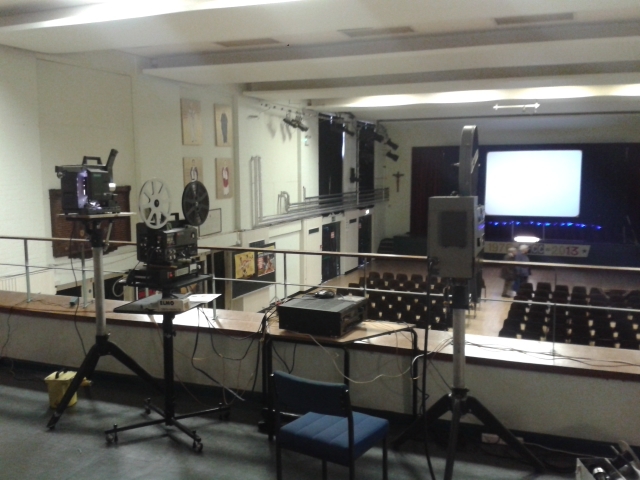 The main hall transforms into a very worthy cinema for the day. 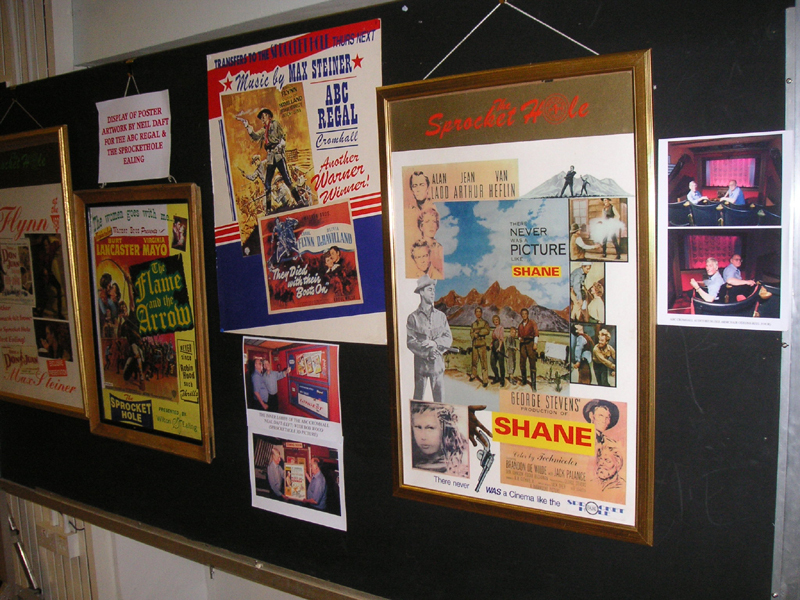 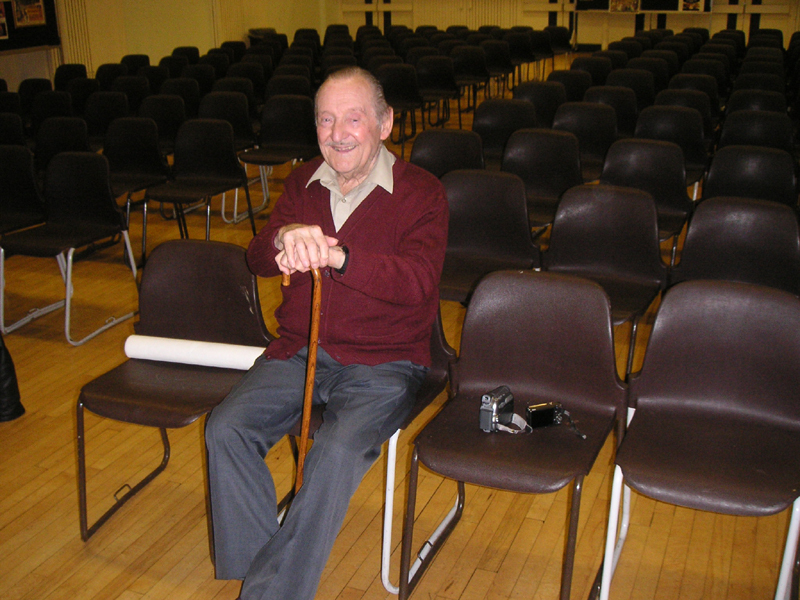 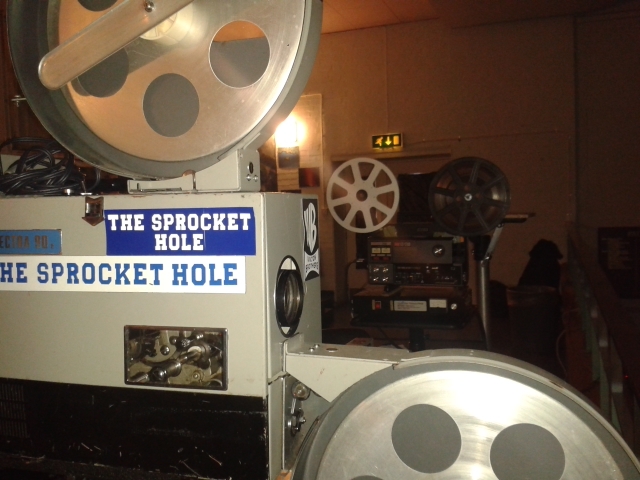 This is long time BFCC projectionist/helper/co-organizer John Bird who is now 90 years old and taking a bit of a back seat. 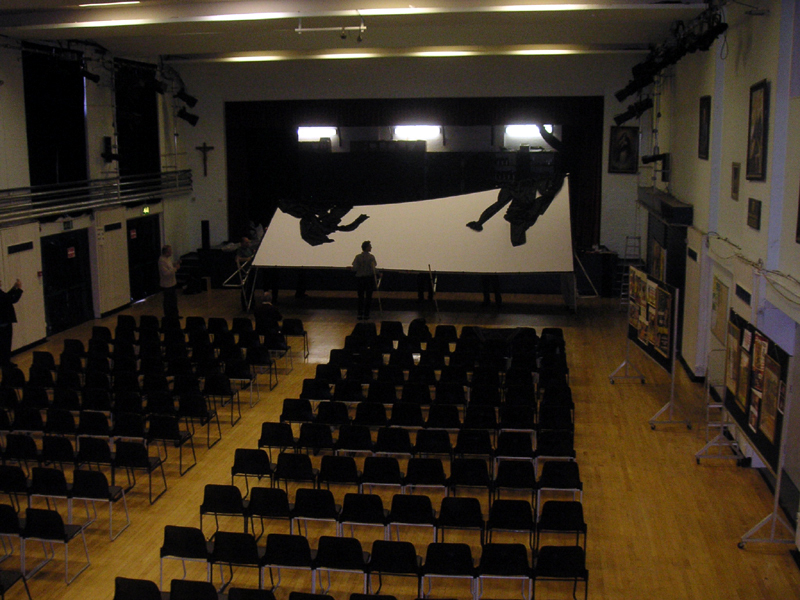 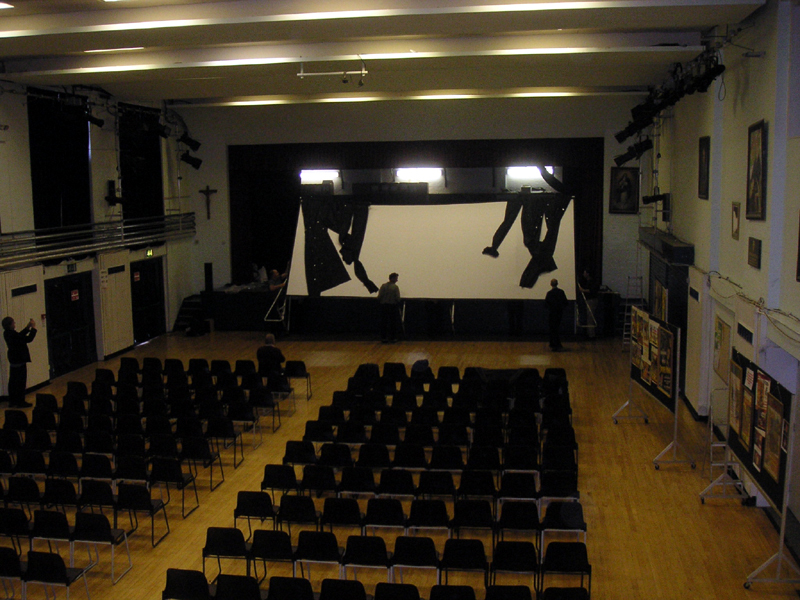 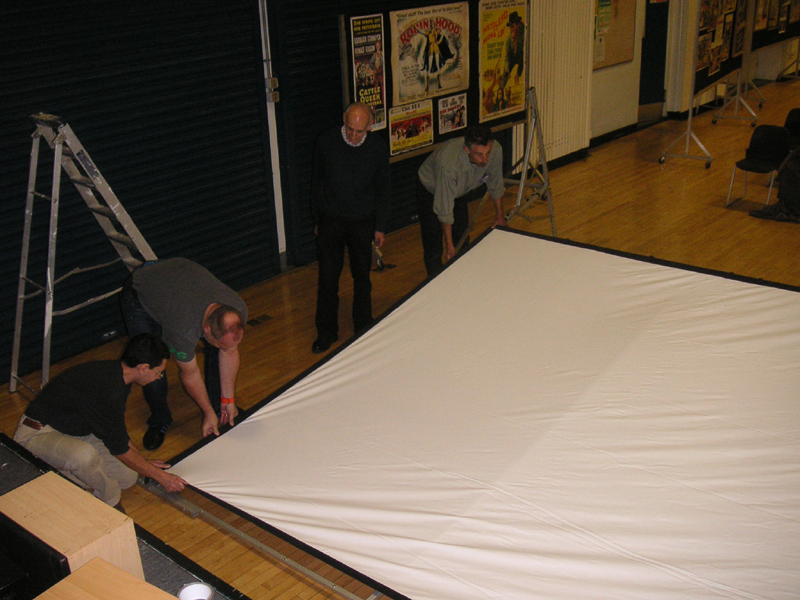 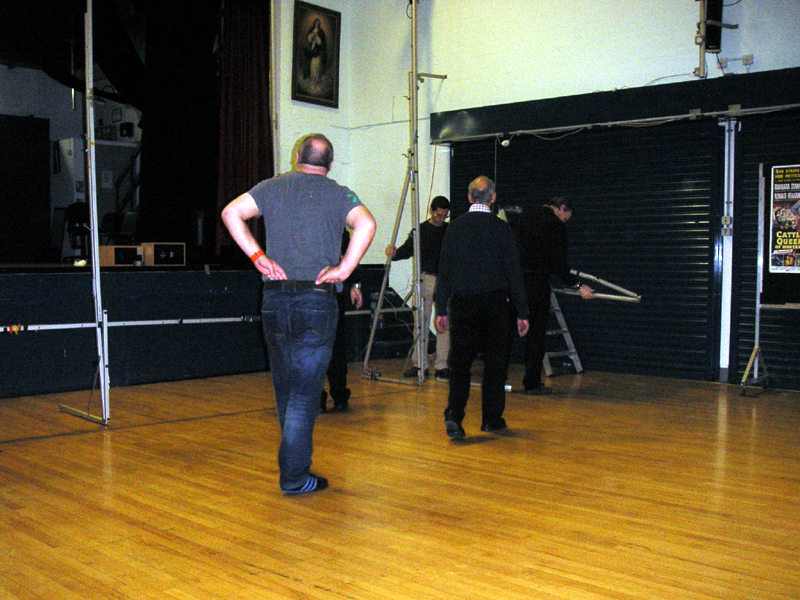 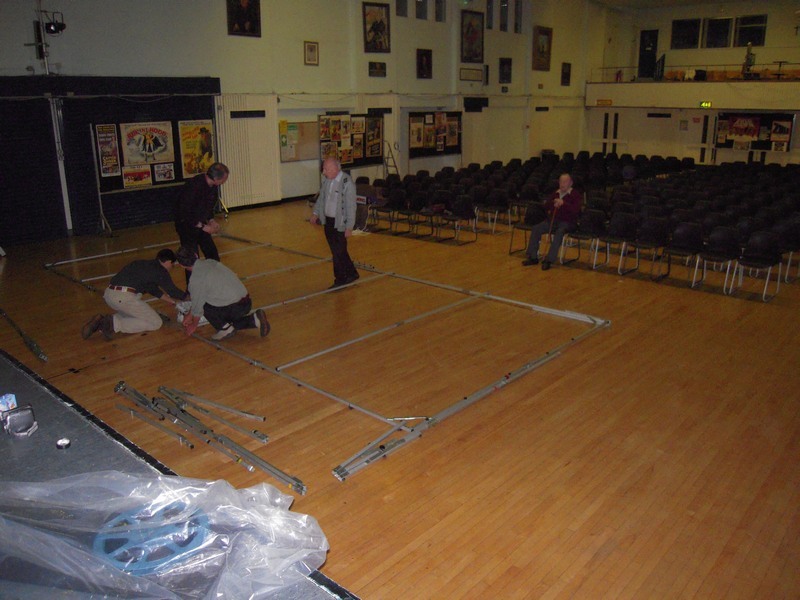 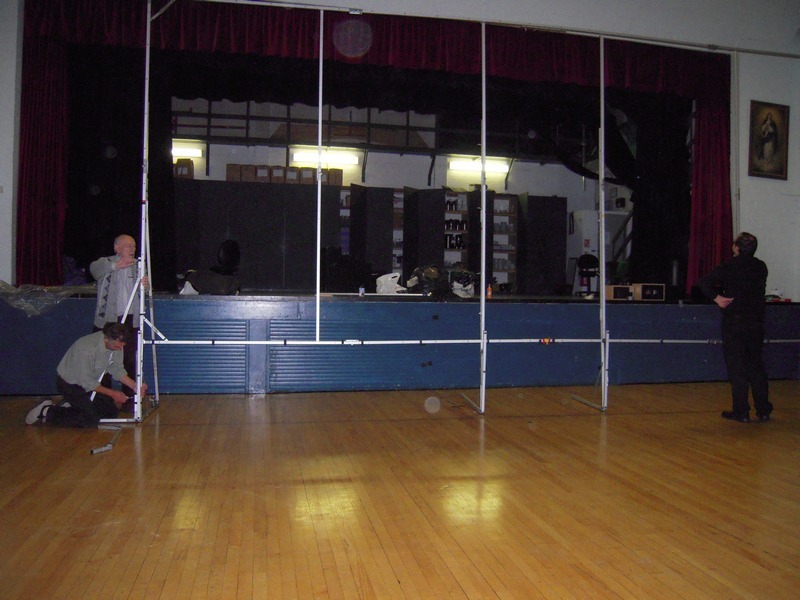 Once assembled, the mighty Harkness Hall 24ft CinemaScope screen has to be lifted onto the stage. 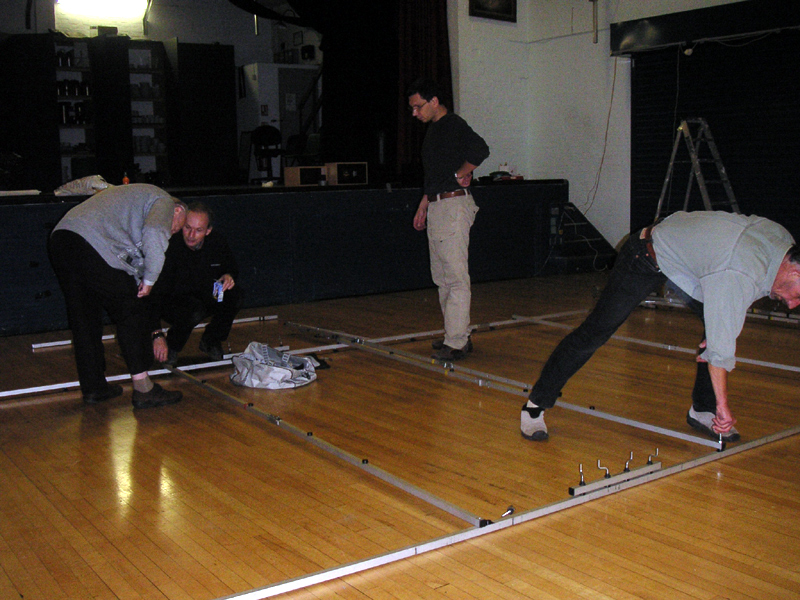 It takes a fair amount of manpower to do this job. 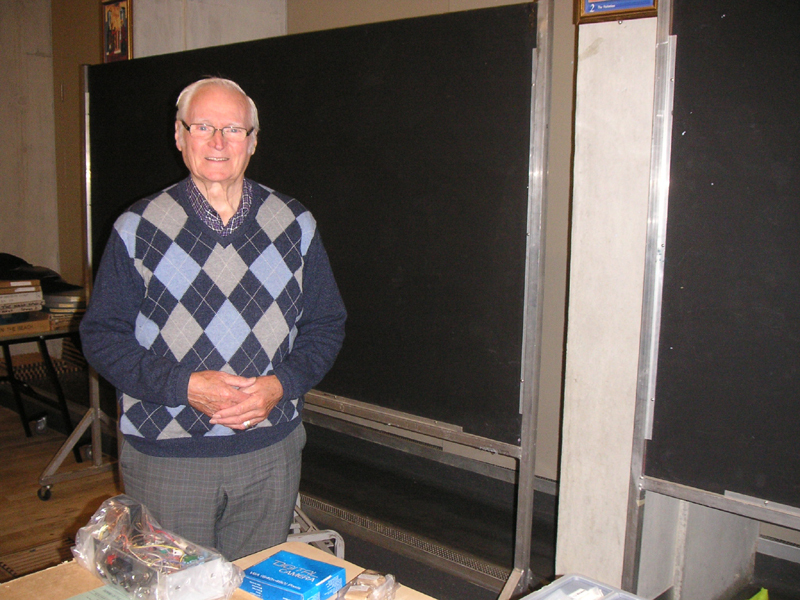 This is 16mm spares specialist Gordon Ogbourne. 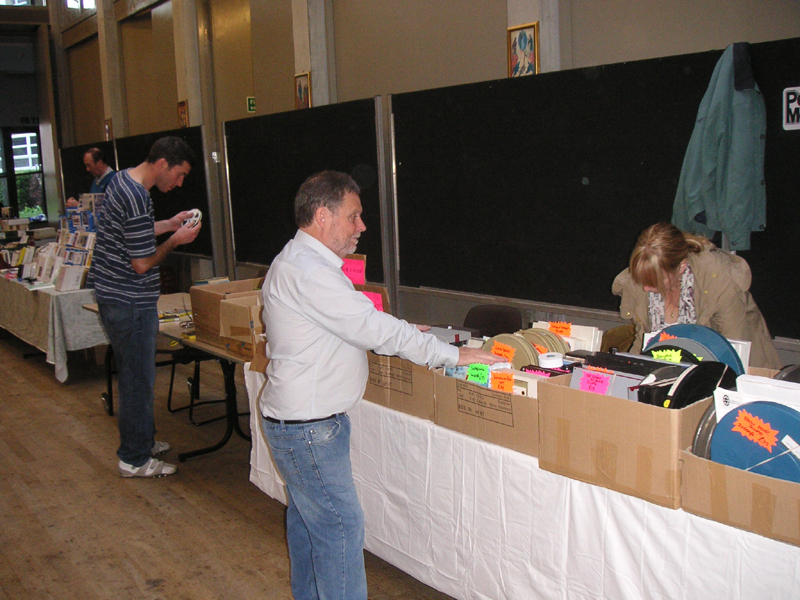 NEXT PAGE OF PHOTOS FROM THE 62nd BFCC HERE.